Intel will ship the second-generation Galileo open-source computer soon, as the company tries to reach a larger crowd of enthusiasts and do-it-yourselfers. Galileo is an uncased computer that sells for about $70. The computer, which started shipping late last year, is being used to develop robots, wearable devices and small electronics. Further details on the “second-generation” Galileo will be given during a speech Wednesday by Mike Bell, vice president and general manager of Intel’s New Devices Group, at MakerCon in Redwood City, California, an Intel spokeswoman said. The computer will ship sometime in the summer, Intel said, but the spokeswoman declined to provide additional details on shipment dates or specifications. 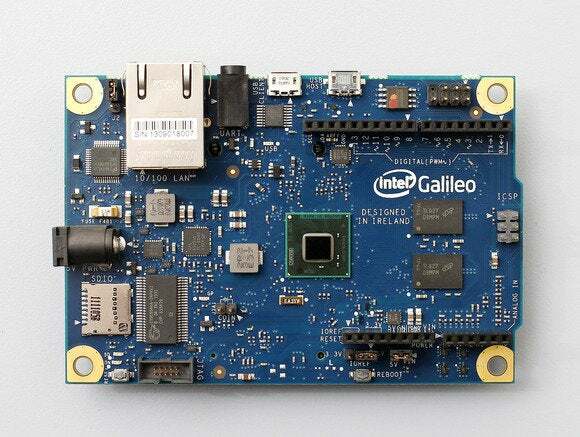 Galileo is much like the popular Raspberry Pi, but is based on the low-power x86 Quark processor. Intel has also shipped a smaller SD card-sized computer based on Quark called Edison, which can be used in wearable devices. Intel is tapping into the “maker” community to figure out ways the Quark chip can best be used. Intel last month started shipping new Quark processors that consume less power and have features such as secure boot. Microsoft has also said that Windows OS support will be added to Galileo, but the current boards only run Linux. The current Galileo board has a 400MHz Quark processor with 16KB of cache and 512KB of embedded RAM. The board is compatible with Arduino, a hardware and software package used to make electronics. Slots and ports for mini-PCI Express, USB, ethernet and Micro-SD are on the board. Other features include 8MB of NOR flash storage for the boot sector and an RS-232 serial port.